When I was reading “Weapon Tests and Evaluations: The Best of Soldier of Fortune” (don’t judge me, I was trapped in my hotel room), I noticed that the author, in an article that was written something like 25-30 years ago, was proclaiming the death of submachineguns. Short-barreled rifles in real rifle calibers will rule the world, and why would you ever shoot something that weighs the same in a far less effective caliber? It’s a fair point, and a point that it seems like most of the world’s militaries have taken to heart. Yet, here we are in 2014 (almost 2015! ), and pistol caliber carbines (PCCs) are still pretty hot amongst American firearms enthusiasts. This includes the Uzi, probably the most iconic of PCCs alongside the H&K MP5. IMI Uzis have been banned from import for quite a long time, but Vector is still manufacturing Uzis and Mini Uzis. The Jericho 941 has the distinction of having been the Israeli Police’s service pistol until it was replaced by the Glock 19. While I’m sure that part of the reason it was chosen was that it was indigenously-manufactured, it’s difficult to deny that Jericho is an excellent handgun strictly on its own merits. 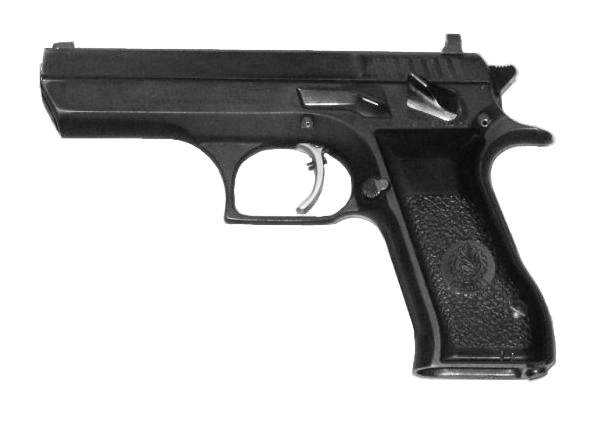 Over the years, the Jericho 941 has been imported to the US by KBI/Charles Daly (defunct), Mossberg (“Uzi Eagle”), and Magnum Research (“Baby Eagle”). But, there’s a catch: only the slide safety/decocker model has been imported in great numbers. The frame safety model is very difficult to find as a result. Through the power of Gunbroker, though, I was able to acquire a Jericho 941F – with no import markings or “Baby Eagle” rollmark. What do I think about it? Read on. When I first got my Saiga 12, I took it in its pristine, unconverted form down to the range to get some shooting. The ranges that were available to me were 1) indoors and 2) only allowed slugs. Thus, I was to experience the Saiga 12 in its purest form: shooting high-powered slug loads. This was unpleasant. The Saiga 12 doesn’t kick as badly as a pump-action shotgun, but it still does quite a number on your shoulder. I knew I needed something better when I converted it… and I think I found it. In the Israeli war of independence, the Haganah was using whatever weaponry it could get its hands on – Kar98ks, Sten guns, SMLEs, etc. But after the establishment of the state, the new IDF needed more of a standard service rifle – and that rifle needed to be modern and capable. Hence, the FN FAL rifle and FN FALO squad automatic weapon were purchased and, later, domestically manufactured. As is common with the FAL, these Israeli variants have their own peculiarities. I happen to own a semi-auto build of an Israeli pattern FN FALO built on an Entreprise receiver. Some thoughts after the jump. Q: What’s the worst part about a handgun? A: It’s not a rifle. OK, maybe it wasn’t a good joke. But, still, the point remains: if the choice is between a handgun and a rifle, you are generally better off choosing the rifle. Rifles are easier to shoot, usually have better sights, and usually have better optics and accessories mounting options. If you asked me to grab a gun to defend my family, my Tavor would be the first thing coming into my hands. 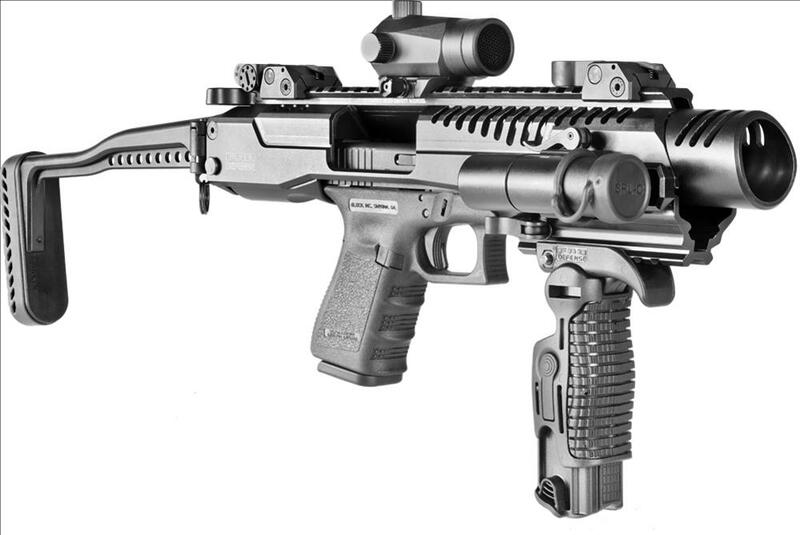 But… what if your handgun could be a rifle? FAB Defense makes an innovative kit called the KPOS that converts many models of handgun into a “carbine (PDW)”. It is distributed in the USA by the Mako Group. In countries like Israel, where you can only buy a single handgun as a civilian, this increases the versatility of your weapon. In the United States, if you’re willing to pay the $200 tax to make an short-barreled rifle (SBR), it gives you what could very well be the lightest pistol caliber carbine on the market. To me, this is basically a total conversion of the Glock 17 into a new weapon – an Israeli-designed weapon. And that makes it fodder for this blog. I took the plunge with my Glock 17 Gen3. What did I think? More after the jump. 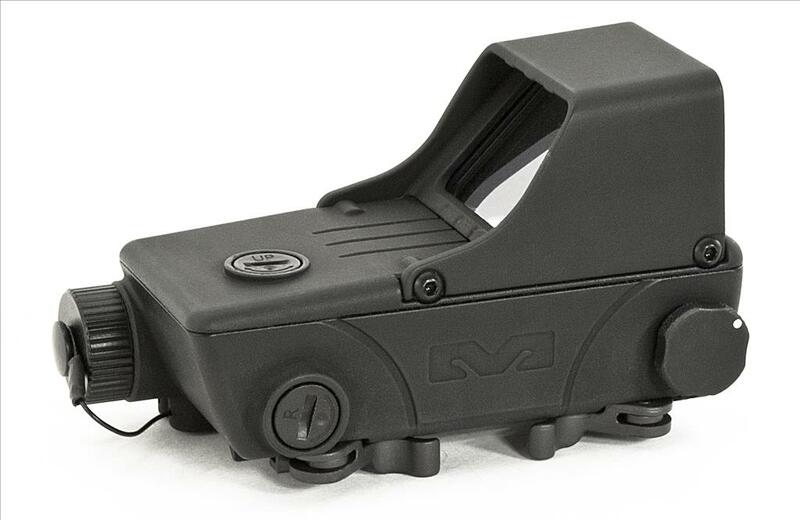 One of the exciting new entrants to the “combat grade but affordable” optics arena is the new Meprolight Tru-Dot RDS (Red Dot Sight). The Tru-Dot is an interesting combination of form factor and features, and retails at an MSRP of $400. I purchased one for use on my Tavor. How did it go? More after the jump.